Scheduled and routed delivery services are provided for time sensitive, recurring deliveries throughout Wisconsin, Illinois and St. Louis. Pick-up and delivery schedules are tailored to the needs of each customer. Route schedules and manifests are updated daily to ensure the needs of customers are continuously met. CS Logistics provides a wide range of transportation services and shipping solutions for all industries with deliveries large and small. 15-foot and 24-foot straight trucks are available to accommodate expedited, overnight and routed pallet and skid deliveries. 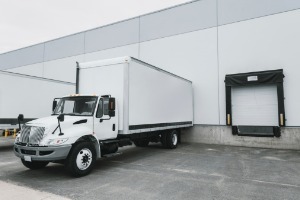 LTL deliveries can be combined with other small shipments covering a long distance to fully utilize space at a fraction of the cost. CS Logistics provides local and regional movement of your freight. If the location is outside of our coverage area, we provide competitive pricing from our national network of trusted carriers. For large shipments through the entire United States, Canada or Mexico, CS Logistics provides Full Truckload services. As a Full Truckload Service Provider, we are able to assess your business’ individual needs and match you with a Truckload Carrier that can accommodate your shipment and deadline in the most cost-efficient way possible. For international cargo, CS Logistics can provide Air Freight services as well as Truckload services for transportation to and from the cargo plane. We utilize numerous carriers to ensure your deliveries arrive on time, including; inbound freight, freight consolidation, warehousing, distribution, order fulfillment and outbound freight. We can provide service from a local or regional business to one that offers national or global coverage. By utilizing CS Logistics as your 3PL, we will find and coordinate carriers for your shipments, large and small, saving you time and money. We understand the importance of superior business intelligence. Partner with CS Logistics and discover the benefits of truly efficient shipping.